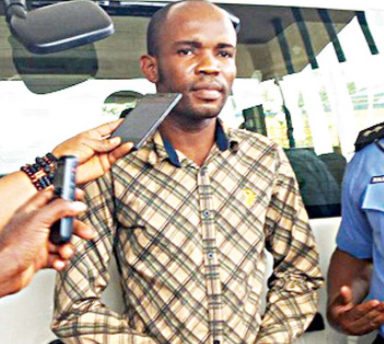 Pastor Chidebere was arraigned before a Chief magistrate court in Port Harcourt yesterday where he confessed to killing his pregnant girlfriend, Uloma Onwuagba, by strangling her. He also told the court that his second victim, a married woman by the name Comcillia Ezewa who is a friend of his pregnant mistress, died when he hit her on the chest and she fell on the ground. He also admitted that the third victim, a nine month old baby, Christabel Joseph, died because he was left alone in the bush after his mother died. Comcillia had dragged Uloma to the pastor's house to challenge him for not taking responsibility of Uloma's pregnancy. The clergyman lured her to an uncompleted building where he killed her. He then took Uluoma to a bush where he stragled her to death. The state’s Deputy Commissioner of Police, Finance and Administration, DCP Okoro Cyril, who paraded the suspect at the state police command last week, said the incident occurred at Oyigbo Local Government Area of the state. DCP Cyril said the clergyman was apprehended with the help of the victims’ neighbours, who they told they were going to his church. Cyril explained that apprehending the pastor was made possible because the deceased had already told their neighbours where they were going that day. Few days after the neighbours couldn’t find them, they lodged a complaint of disappearance at the Afam divisional headquarters. Meanwhile the court has ordered the pastor to be remanded in prison until further hearing.